It’s official, UK Summer time is here! It’s been absolutely scorching in the UK recently with temperatures nearing into the 30’s! So whilst the majority of the population are planning their BBQ of the summer, why not make yours the one to remember by bringing the white isle to you! We’ve done the research, we’ve found the props and we have everything you need to make your very own DIY O Beach Ibiza Pool Party! Step One – The Invite! What better way to let all of your besties know about the only way to spend their weekend then with their very own ticket inspired invite, just like ours! 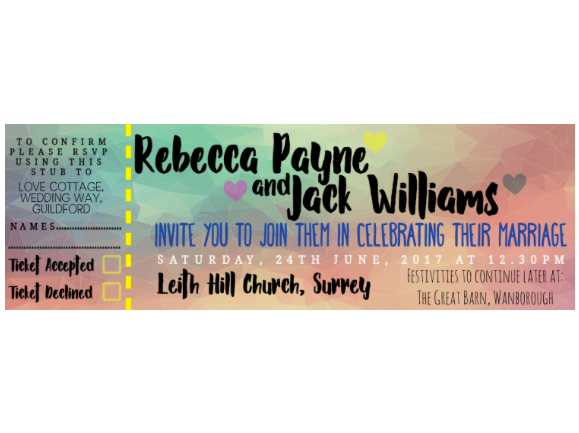 Check out MallettsandPallets on Etsy who can provide you with these great personalised invitations for only a £1 an invite! Step Two – Get your beds! O Beach Ibiza is surrounded by wonderful, white beds for all of your comfort and tanning needs. However we’ve found you a handy and super comfy alternative for your party! 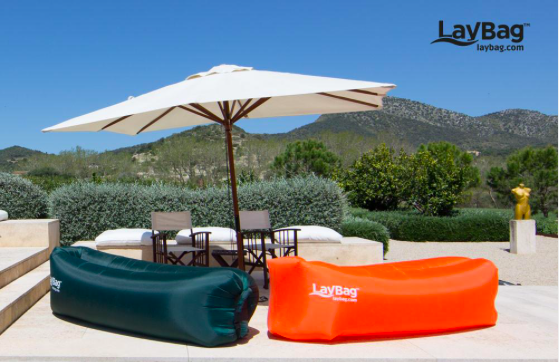 Check out LayBag.com! They may be from down under but they ship worldwide and are totally worth it and they come in plenty of different colours! White and orange are our favourites…obvs. Step Three – The Pool! An at home O Beach Pool Party just wouldn’t be complete without the obvious… the pool! 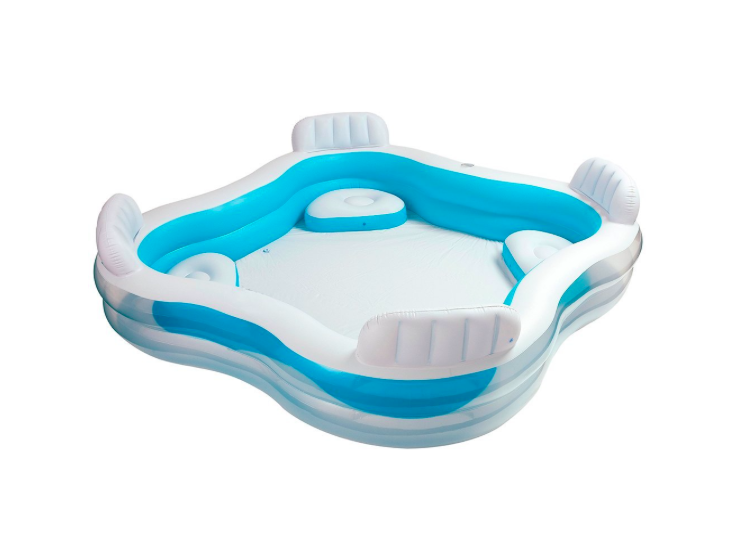 The Intex Swim Centre Family Lounge Pool is the very elite of paddling pools and can be found on Amazon, where reviewers have given the pool a glowing 4.5 star rating! 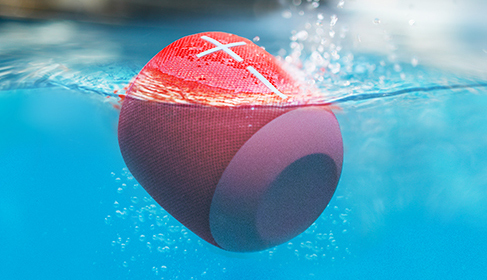 Next you’re going to need the very best of Balearic beats, so grab yourself the WONDERBOOM waterproof bluetooth speaker from Amazon and link up to our Soundcloud where you’ll find exclusive mixes from the O Beach Ibiza resident and guest DJ’s! Step Four – Time for a cocktail! And what better way to serve an refreshing, ice cold cocktail than in pineapple so that you can recreate our signature Absolut Copper Elyxx pineapple cocktail! 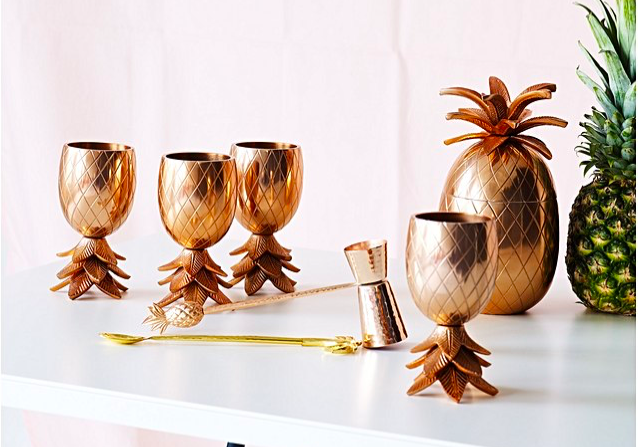 Not only have we sourced some awesome (and affordable) rose gold pineapples by Oliver Bonas but we’ve also done a tutorial on exactly how to make it at home! Check it out here! Step Five – Flamingo Fun! This is a great little touch to the party if you’re feeling the post – Hed Kandi blues! 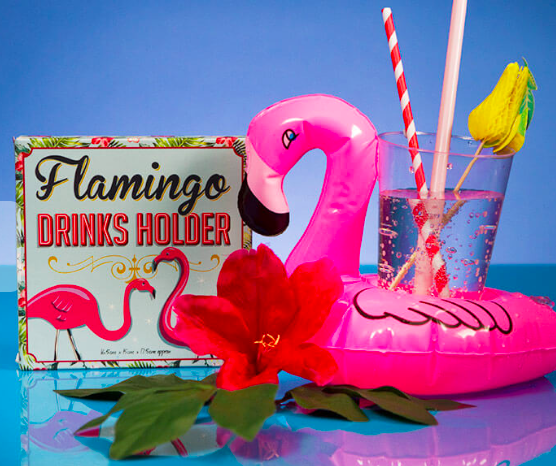 Bring our Miami Vice theme to your pool with these cute little floating drink holders! Get them here! Step Seven – Sushi, let’s get rolling! Forget BBQ’s and picnics, what you really need for your O Beach Ibiza inspired party is sushi! Plus it’s fun to make! 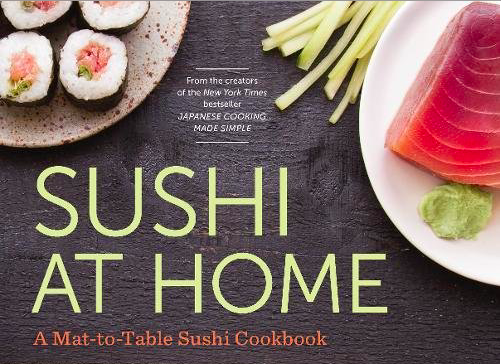 Get your hands on the best selling ‘Sushi At Home’ by Katherine Green cook book, get your friends together and get rolling! Step Eight – Join the #Glitterati! 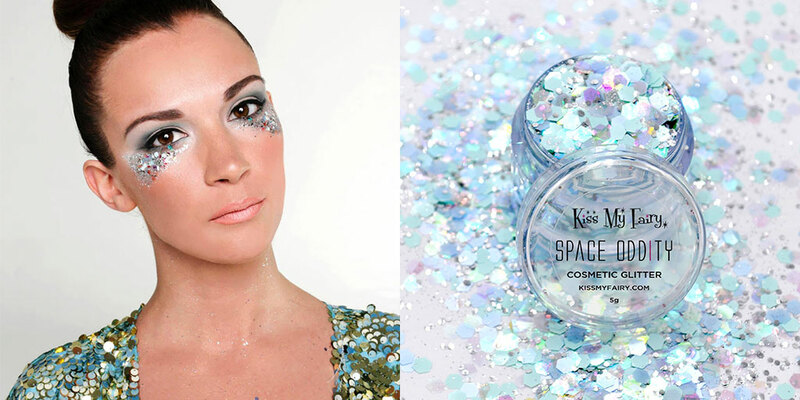 And finally, you can’t have an O Beach Ibiza pool party without looking the part and getting all glittered up by the Kiss My Fairy team! Well have we got news for you as Kiss My Fairy have now bought out their own range of glitter application kits that you can buy online! Get your kits HERE! So there you have it! Now you have everything you could possibly need an want to throw one hell of a summer party, make sure to get snapping and tag us in @0ceanbeachibiza on IG with the hashtag #oceanbeachlife !